The King of Rock’n’Roll: Elvis Presley. ALL SHOOK UP, a “camp, romantic farce”, featuring the music of Elvis Presley, will be performed by the Athenry Musical Society in the Presentation College, Athenry, from Wednesday February 17 to Saturday 20. Joe DiPietro’s exuberant musical tells the tale of mismatched lovers in a 1955 midwest American town, where one girl’s dream and a surprise visit from a mysterious leather-jacketed, guitar-playing, stranger named Chad, help a small town to discover the magic of romance and the power of rock’n’roll. There will be plenty of comedy, hip-swivelling, and a little cross-dressing! 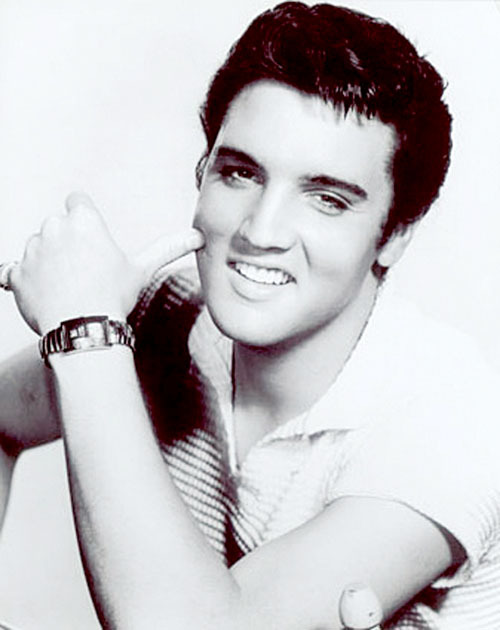 Elvis hits featured in the musical include ‘All Shook Up’, ‘Blue Suede Shoes’, ‘Burning Love’, ‘You’re The Devil In Disguise’, ‘Don’t Be Cruel’, ‘Heartbreak Hotel’, ‘Hound Dog’, ‘Jailhouse Rock’, ‘Teddy Bear’, and ‘That’s All Right’.